Steve Emerson who plays John the barman is a veteran stuntman with hundreds of credits. One that I only found out about after the fact was that he had already performed a head-into-the-jukebox stunt, in the 1975 John Wayne film ‘Brannigan’. In that movie the Duke himself threw him into a jukebox. I think we had champagne for our 500th slate. 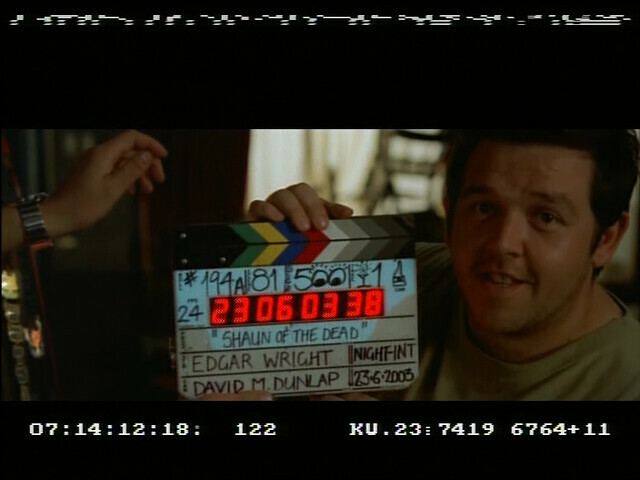 On ‘Hot Fuzz’ we tried to have champagne on every 100 slates, but the idea was quickly abandoned when we shot 1200 slates during the shoot. I work in film and TV now and it was this movie (as well as Spaced which I went and bought on DVD after watching the Shaun of the Dead trailer) that made me decide that that’s what I’d do with my life. Seeing this movie was a massively important moment in my life, and this scene in particular was one of my favourites. 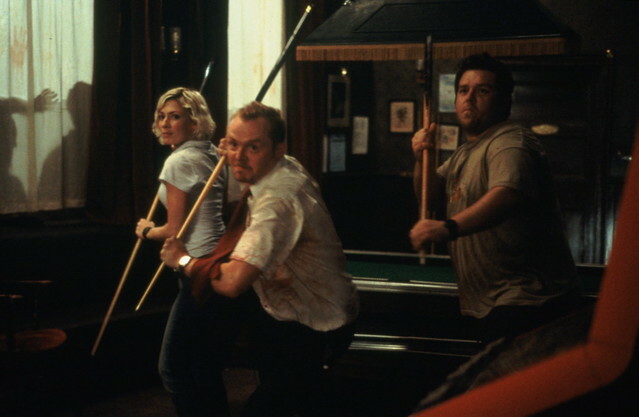 The comedy stylings of Wright, Pegg and Frost are sunshine in a world of dark clouds .. a breath of fresh air in a smoke filled room .. a moment to moment plethora of brilliance and comedic timing .. to be matched by no one – no where .. at any moment, in any film or tv series. Just sayin’ ..